Labor Secretary Tom Perez is calling for the Democratic Party to dedicate full-time staff to combating voter suppression as part of his pitch to lead the party out of the ashes of 2016. Accusing the GOP of looking to prevent Americans from voting, the former Justice Department lawyer argued that his party needs to fight back. More importantly, even in states that had eased their voting and registration rules in recent years, such as Minnesota, Democratic turnout was way down. This is key: Hilllary Clinton is down millions of Democrats' votes (right now about 7 million votes) compared to Obama in 2012. People stayed home for reasons unrelated to voter suppression. Blaming voter suppression in this election will be just as effective as the increasing calls on social media for Republican electors to not vote for Donald Trump when the Electoral College votes. It’s not going to help, and ignores the larger problems facing the party and the nation that the party, and those on the left, need to face. 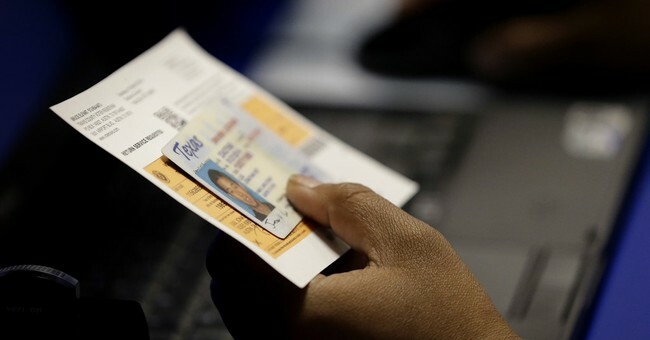 We'd be remiss, though, if we didn't note that a number of states, including Wisconsin and several in the Deep South, implemented new voter ID requirements for the 2016 election. Voter ID laws often have the (not-always-unintended) effect of making it harder for poor people and people of color to vote. 2016 was the first presidential election since the Supreme Court voided part of the Voting Rights Act, a law intended to protect voting rights particularly for historically disenfranchised voters like black Southerners. The 2016 election was close enough that any number of things could have flipped the result. Slightly higher turnout from black voters in the three key states is certainly one. But turnout was down, and Trump won. It may be unusual for a politician to openly celebrate low turnout — but in this case, it's certainly clear why Trump is enthusiastic about it. Well, let’s get back to reality for a second here because it’s not like the Deep South is ever going to go Republican any time soon. Let’s look at the three states that sunk Clinton: Pennsylvania, Michigan, and Wisconsin. Hasen noted that a) only Wisconsin has voter ID laws, where Clinton received 15 percent fewer votes than Obama. Trump won that state by less than 23,000 votes (27,000 by some other outlets). Clinton received 239,000 fewer votes than Trump. In Milwaukee, Clinton received 43,000 fewer votes than Obama, which could have made the difference. So, it’s voter ID, right? No—not really. In fact, there were many in Milwaukee that simply didn’t vote and don’t regret it, according to The New York Times. While there was no love for Trump in these neighborhoods, Clinton was viewed as equally terrible who wouldn’t do much to help their economic situation. As a result, why even bother voting? Wisconsin, a state that Hillary Clinton had assumed she would win, historically boasts one of the nation’s highest rates of voter participation; this year’s 68.3 percent turnout was the fifth best among the 50 states. But by local standards, it was a disappointment, the lowest turnout in 16 years. And those no-shows were important. Mr. Trump won the state by just 27,000 voters. Milwaukee’s lowest-income neighborhoods offer one explanation for the turnout figures. Of the city’s 15 council districts, the decline in turnout from 2012 to 2016 in the five poorest was consistently much greater than the drop seen in more prosperous areas — accounting for half of the overall decline in turnout citywide. At Upper Cutz, a bustling barbershop in a green-trimmed wooden house, talk of politics inevitably comes back to one man: Barack Obama. Mr. Obama’s elections infused many here with a feeling of connection to national politics they had never before experienced. But their lives have not gotten appreciably better, and sourness has set in. In Pennsylvania, can’t really blame a decrease in voter turnout in Philadelphia for Clinton’s loss, as noted by The Cook Report’s David Wasserman. And Michigan was the same story of Clinton not being able to get people psyched for her; Trump won the state by less than 11,000 votes. In Wayne County, which includes Detroit, Obama got 595,253 votes. Clinton just got 517,842—77,411 fewer than the president in 2012. So, again, it appears like voter turnout was down because voters didn’t like Clinton. They didn’t like Donald Trump either, but this is entirely Clinton’s fault. Her inability to energize the Obama coalition, along with her decision to straight up ignore millions of white working class voters, probably cost her the election. So, it wasn’t voter suppression. It wasn’t voter ID laws. Michigan and Pennsylvania don’t have such laws, so what else could explain by 77,000+ voters in a heavily Democratic county in Michigan? Maybe it was Hillary Clinton was just an awful candidate who no one trusted. Oh, what about Florida. Well, Trump won that state outright. Clinton got 248,000 more votes than Obama who won the state in 2012, but Trump won 442,000 more votes than Romney, which pushed him over the top. It all comes down to candidates. And while Trump certainly had his flaws, he wasn’t hamstrung with an FBI criminal investigation stemming from an email system that possibly put our national security in jeopardy. In the end, the Clinton campaign thought they could have record turnout like Obama. What they learned is that Obama was good for Obama, not for Democrats trying to succeed him. Clinton just couldn’t get people excited for her. Period. That’s not the fault of voter ID laws.